Almost half of U.S. adults call themselves major league baseball (MLB) fans, with 15 percent claiming to be avid fans. These findings are the result of a recent Scarborough Sports Marketing study that examined the current and future fandom of America’s national pastime. MediaPost.com reported on the rousing results. The study revealed there are numerous sports marketing opportunities to transform young fans into lifetime followers since 44 percent of Generation Y are already fans and 13 percent describe themselves as avid fans. Generation Y is the term for the population born between 1977 and 1994, which is incredibly sophisticated, tech-savvy, and resistant to traditional marketing. They are also highly involved in digital activities, such as the Internet and social media, since they’ve been exposed to them since childhood. Comparing Gen Y fans to all MLB fans, Gen Y is 37 percent more inclined to own MLB apparel with logos, 30 percent more likely to spend up to $49 for a game ticket, and 12 percent more apt to buy season tickets. The report also revealed the digital divide between Gen Y and older MLB fans since younger fans are 84 percent more inclined to tune in to Internet radio and 54 percent more likely to use mobile devices to read the newspaper. Demographically, the sports marketing study showed that Northern cities were the leading markets for younger MLB fans. In fact, Milwaukee was the top market, followed by Philadelphia, Hartford, St. Louis, Albany, Boston and Cincinnati. Lastly, Gen Y MLB fans are 83 percent more likely to be Hispanic and 23 percent more likely be Black/African American than all MLB fans combined. 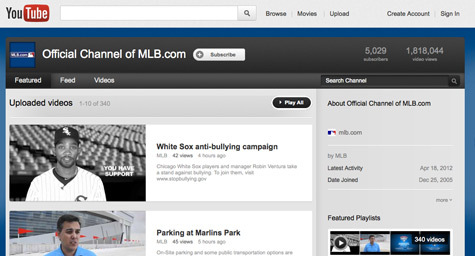 To see the sports marketing campaigns created by MDG Advertising for the Florida Marlins, visit mdgadvertising.com.